Now available again! Great Value Offer. This Celtic 'Mom' Pendant, was specially commissioned by IRISHOP a few years ago and has proved very popular. 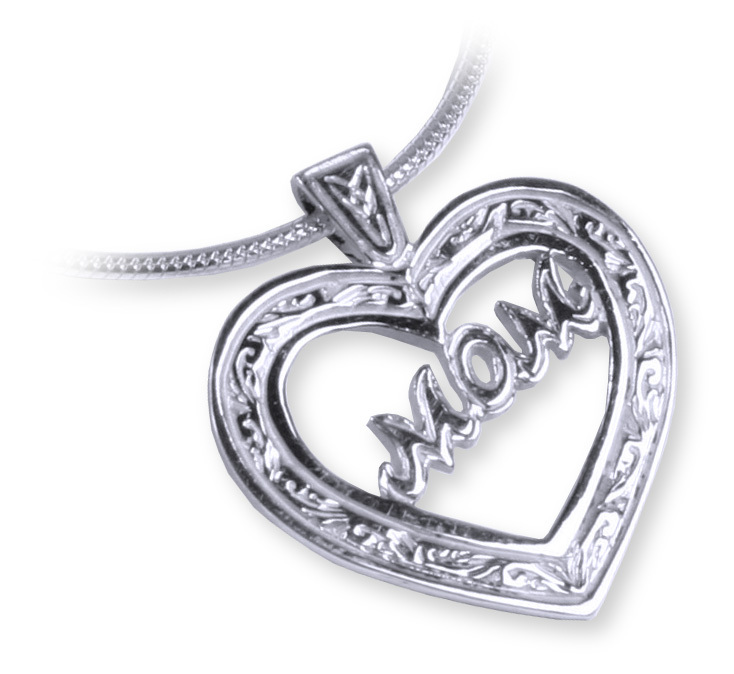 Made in Dublin, this sterling silver, heart shaped pendant, features a Celtic design border, and the word "Mom" across the center of the heart. Measures approx. .75 inch high x .6 inch wide. Comes Boxed with an 18 inch chain.